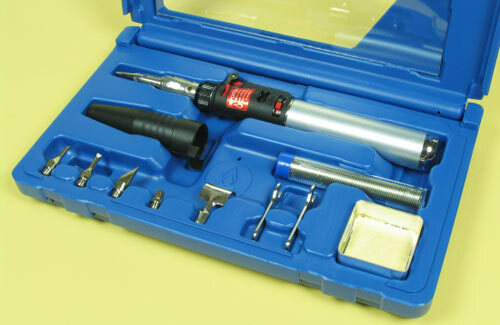 All Products > "5538880 J Perkins SC3000 Gas Soldering Tool"
11 piece kit perfect for a wide range of modelling applications. 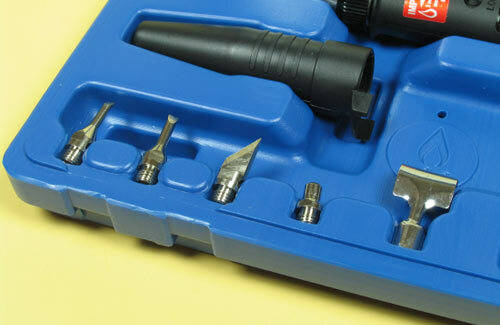 For precision soldering, flame welding, brazing, and hot air shrinking. 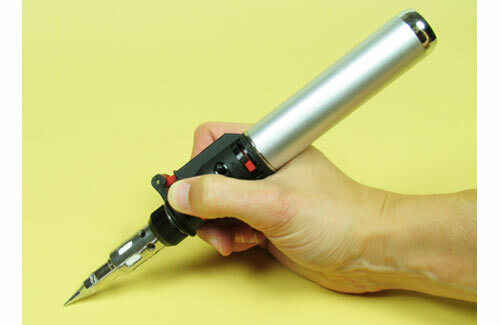 Hot knife for cutting, sealing and modelling. Cordless, safe and simple to use. Welding and brazing - Temperature up to 1300 degree centigrade. Soldering - Temperature up to 500 degrees centigrade. Hot air shrinking - Temperature up to 500 degrees centigrade. Working time - 60 minutes (based on a full tank and flame length 20mm).